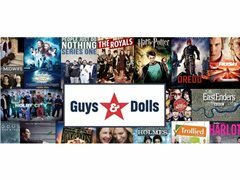 Guys & Dolls Casting are one of England’s biggest agencies for extras/ supporting artistes. We supply extras to various Film and TV Productions like EastEnders, Giri / Haji, Holby City, Harlots, Temple, Melrose, People Just Do Nothing, The Royals, Girl Untitled, Episodes, Drifters, Loaded, End of the F***ing World and Collateral. We also work on a lot of commercials for Paddy Power, Levis, Burger King, KFC, Now TV and Samsung to name a few. All the productions we work on are PAID and typical, MINIMUM earnings are usually £110 per day. Our productions are usually based in London and the South East of England. There are NO UPFRONT fees just 15% commission on earnings. If you have already made an application with Guys & Dolls Casting you are already being considered for this shoot.